On Thursday 07/11/13 Brazil and Germany formally introduced this resolution to the U.N. General Assembly urging all countries to extend internationally guaranteed rights to privacy to the Internet and other electronic communications. Reports about mass surveillance of private communication and the collection of personal data have alarmed people all over the world. Though the US and UK have not been named, it is most likely that their eavesdropping on foreign leaders, including Brazil’s President Dilma Rousseff and German Chancellor Angela Merkel triggered this resolution. Experts say, that the dragnet surveillance of international communications is inconsistent with the International Covenant on Civil and Political Rights. The draft resolution therefore proposes an expansion to affirm, that the same rights that people have offline must also be protected online, in particular the right to privacy. Hence Facebook originally was an exclusive, elitist concept, centred around the desire of its participants for social status – “Hot or Not“! Without the explicit permission of a Facebook member to share, there was no access for strangers to anything personal. 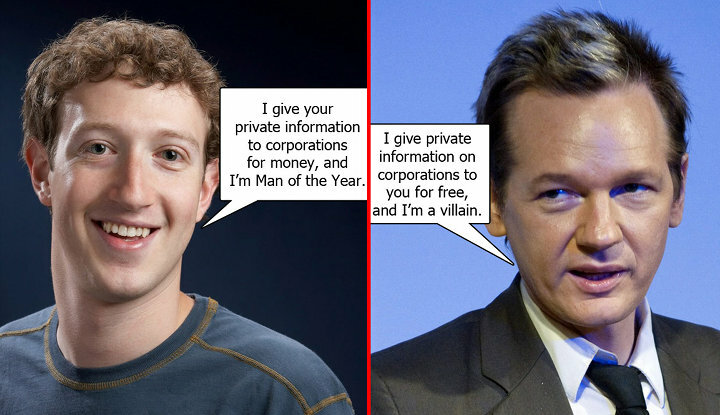 FaceBook Users Beware: All The Content You Put On FaceBook Belongs To Them, Forever! As former chief of staff at the Treasury Department1 under Lawrence Summers, Sandberg was well connected in the circles of Big Money, so that when eventually in 2012 Facebook Inc. applied for a US$5 billion initial public offering (IPO), it was presented as one of the biggest in the history of technology and the biggest in Internet history. Inflating the bubble enabled an insider scam, where buddies of Morgan Stanley, JP Morgan, and Goldman Sachs instantly cashed out “smart money”. Facebook turned into a platform where much of their members information became public by default. Today the word “privacy” does not even occur in their huge legal terms any more. Moreover even native English speakers might face difficulties to grasp the meaning of certain expressions therein, better resort to A Handy Facebook-to-English Translator! 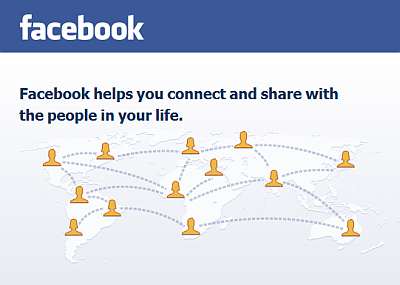 Facebook has disseminated small pieces of software code across millions of websites in form of ‘Like This‘-buttons and “Facebook Connect” scripts. In the hope to increase traffic and revenue, website owners assist Facebook to record the entire web behaviour of individual users – a technology called “tracking“. At the end, law code can only secure privacy, in equivalence with clean software code! Adequate trustworthiness though can only be guaranteed by Open Source Software like Uhuru OS – where the source code is available to the general public. It remains to be seen, whether the UN-resolution will keep-up universal principles or will – alike Facebook – be assimilated to Wall-Street / World Bank interests. Better don’t wait until politics change, but try to improve your current computer system now. Local Tanzanians are welcome to contact our Trust for advice. 1. The treasury collects taxes from US-citizens and hands them over to the Federal Reserve Department (FED) in exchange for “Federal Reserve Notes” – the US-Dollar. On the other hand the FED, a private banking institute, decides about the nation’s ‘financial policy’, mainly by protecting the investments of flagship banking institutes on Wall Street – too big to fail – with trillions of Dollars in subsidies – bailout policy. 2016: Digital Dividends or Increasing Divide?